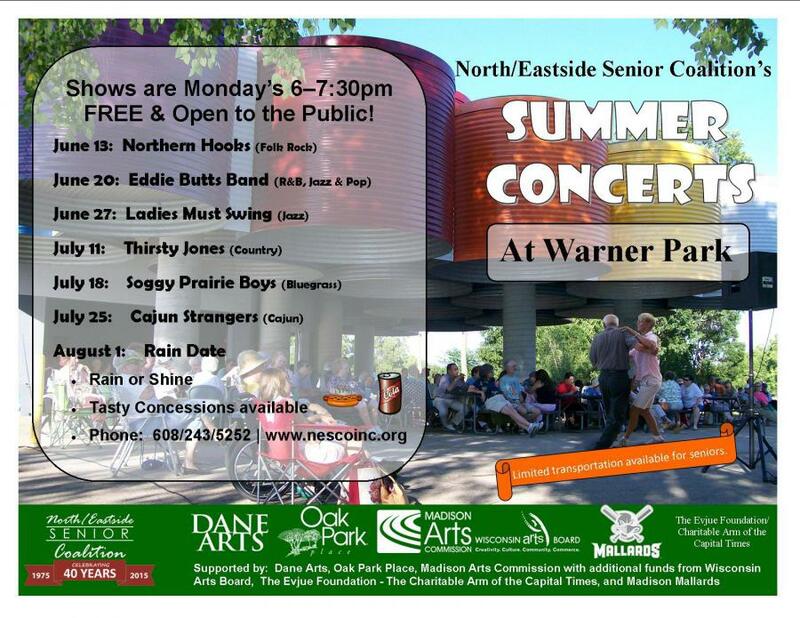 Join us at the NESCO’s Summer Concerts in Warner Park! Free and open to the public! Grab your lawn chair and some friends and enjoy some great music in a beautiful outdoor setting – rain or shine!